THE apostles being the heralds of the coming of the Messias, it was fitting that Advent should have in its calendar the name of some one among them. Divine Providence has provided for this; . . . But God has not wished that the first apostolate should be the only one to appear on the first page of the liturgical calendar; great also, though in a lower degree, is the glory of that second apostolate, whereby the bride of Jesus Christ multiplies her children, even in her fruitful old age, as the psalmist expresses it. [Ps. xci. 15] There are Gentiles who have still to be evangelized; the coming of the Messias is far from having been announced to all nations. 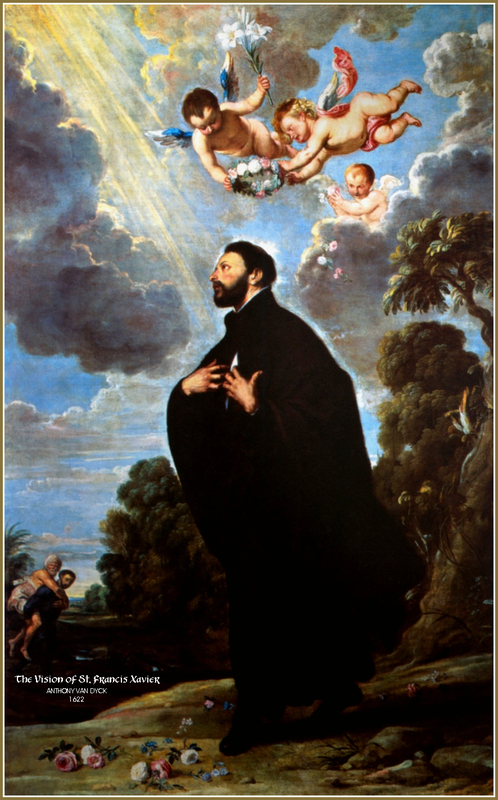 Now of all the valiant messengers of the Divine Word who have, during the last few hundred years, proclaimed the good tidings among infidel nations, there is not one whose glory is greater, who has worked greater wonders, or who has shown himself a closer imitator of the first Apostles, than the modern apostle of the Indies, St. Francis Xavier. 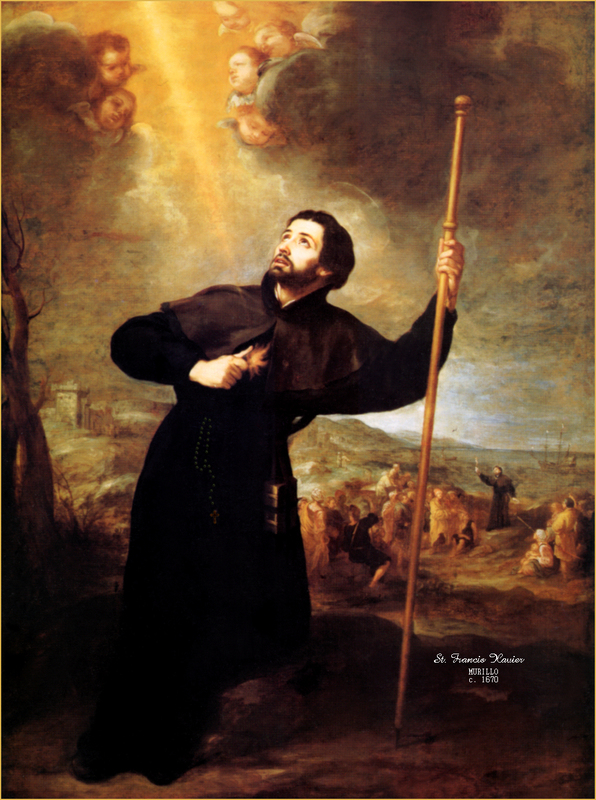 The life and apostolate of this wonderful man were a great triumph for our mother the holy Catholic Church; for St. Francis came just at a period when heresy, encouraged by false learning, by political intrigues, by covetousness, and by all the wicked passions of the human heart, seemed on the eve of victory. Emboldened by all these, this enemy of God spoke, with the deepest contempt, of that ancient Church which rested on the promises of Jesus Christ; it declared that she was unworthy of the confidence of men, and dared even to call her the harlot of Babylon, as though the vices of her children could taint the purity of the mother. God's time came at last, and He showed Himself in His power: the garden of the Church suddenly appeared rich in the most admirable fruits of sanctity. Heroes and heroines issued from that apparent barrenness; and whilst the pretended reformers showed themselves to be the most wicked of men, two countries, Italy and Spain, gave to the world the most magnificent Saints. One of these is brought before us today, claiming our love and our praise. 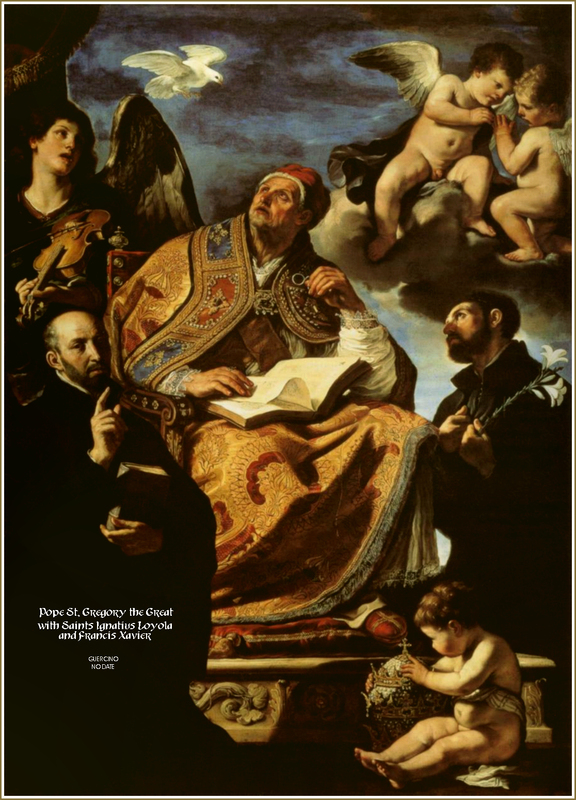 The calendar of the liturgical year will present to us, from time to time, his contemporaries and his companions in Divine grace and heroic sanctity. The sixteenth century is, therefore, worthy of comparison with any other age of the Church. The so-called reformers of those times gave little proof of their desire to convert infidel countries, when their only zeal was to bury Christianity beneath the ruin of her churches. But at that very time, a society of apostles was offering itself to the Roman Pontiff, that he might send them to plant the true faith among people who were sitting in the thickest shades of death. But, we repeat, not one of these holy men so closely imitated the first Apostles as did Francis, the disciple of Ignatius. 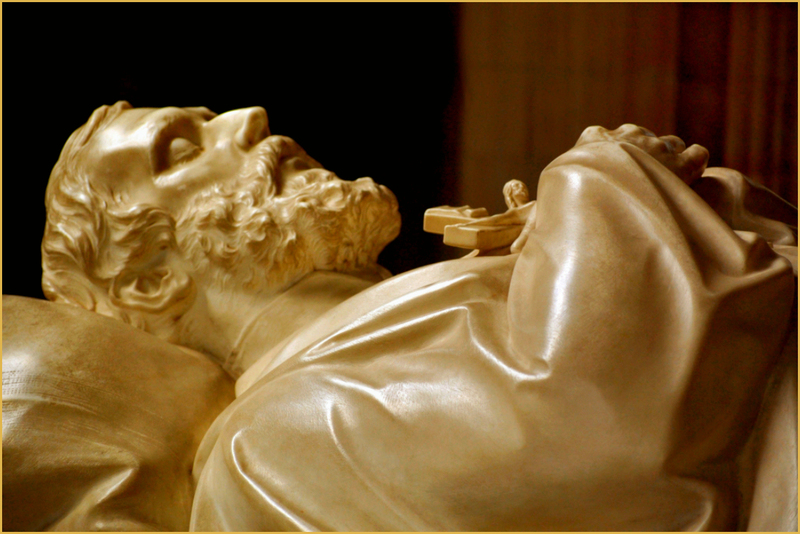 He had all the marks and labours of an apostle: an immense world of people evangelized by his zeal, hundreds of thousands of infidels Baptized by his indefatigable ministration, and miracles of every kind, which proved him, to the infidel, to be marked with the sign which they received who, living in the flesh, planted the Church, as the Church speaks in her liturgy. So that, in the sixteenth century, the east received from the ever holy city of Rome an apostle, who, by his character and his works, resembled those earlier ones sent her by Jesus Himself. 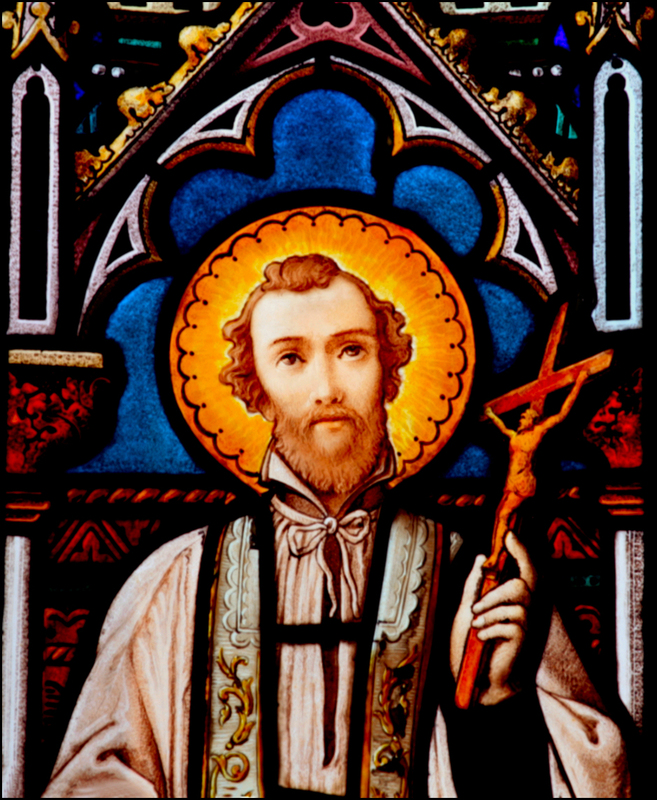 May our Lord Jesus be for ever praised for having vindicated the honour of the Church, His bride, by raising up Francis Xavier, and giving to men, in this His servant, a representation of what the first Apostles were, whom He sent to preach the Gospel when the whole world was pagan. Let us now read the short account given us, in the words of the Church, of this new apostle. 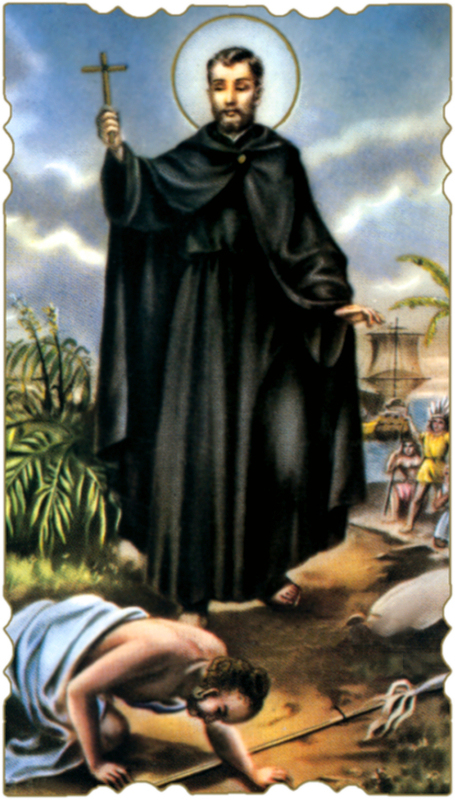 Francis was born of noble parents, at Xavier, in the diocese of Pampelona. 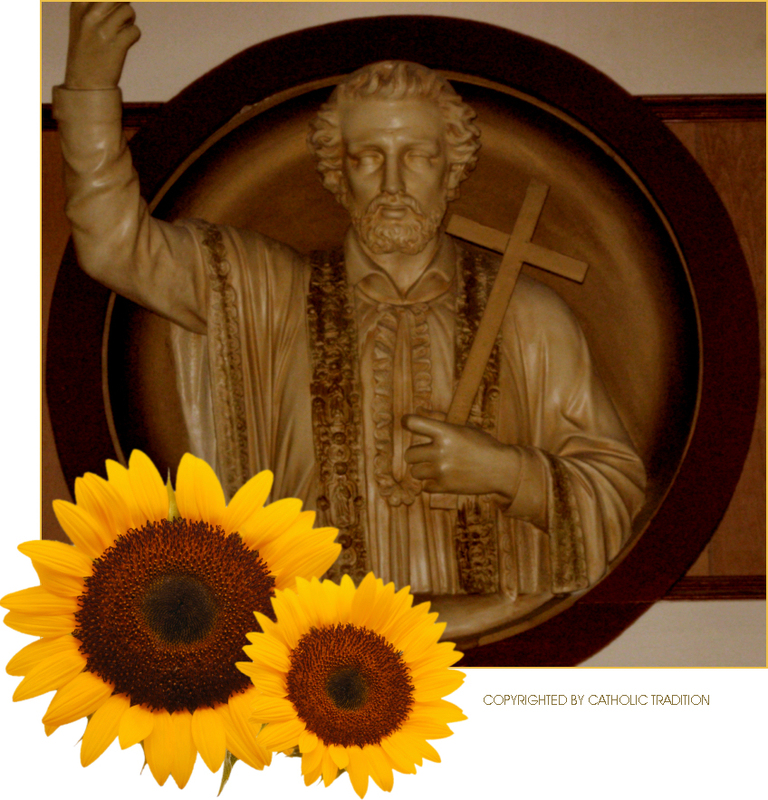 Having gone to Paris, he there became the companion and disciple of Saint Ignatius. 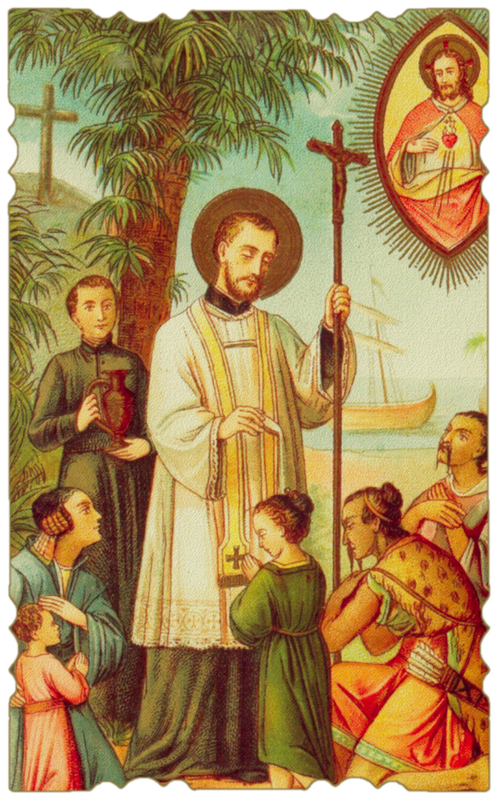 Under such a master, he arrived at so high a contemplation of Divine things, as to be sometimes raised above the ground: which occasionally happened to him whilst saying Mass before crowds of people. 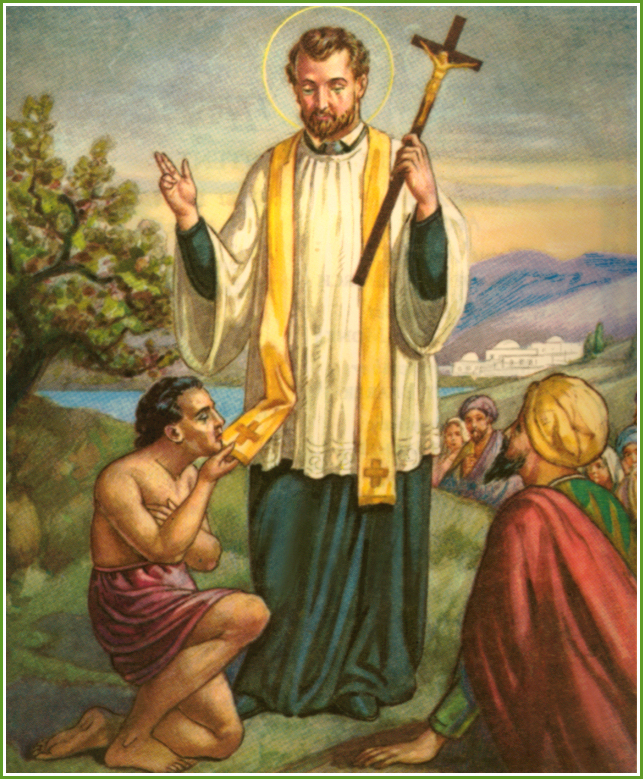 He had merited these spiritual delights by his several mortifications of the body; for he never allowed himself either flesh meat, or wine, or even wheaten bread, and ate only the coarsest food; he not infrequently abstained, for the space of two or three days, from every sort of nourishment. He scourged himself so severely with disciplines, to which were fastened pieces of iron, as to be frequently covered with blood. His sleep, which he took on the ground, was extremely short. 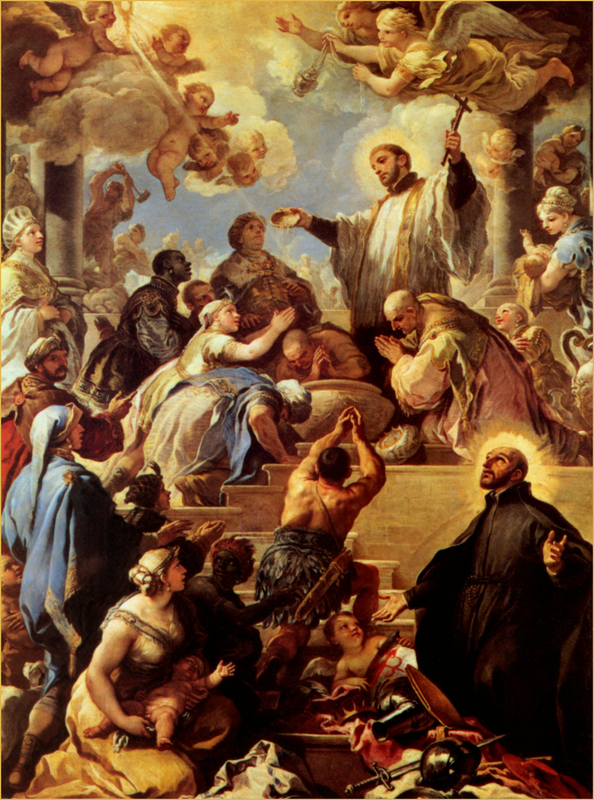 Such austerity and holiness of life had fitted him for the labours of an apostle; so that when John III, king of Portugal, asked of Paul III that some of the newly-founded Society might be sent to the Indies, that Pontiff, by the advice of St. Ignatius, selected Francis for so important a work, and gave him the powers of apostolic nuncio. Having reached those parts, he was found to be, on a sudden, divinely gifted with the knowledge of the exceedingly difficult and varied languages of the several countries. It sometimes even happened, that whilst he was preaching in one language to the people of several nations, each heard him speaking in their own tongue. He traveled over innumerable provinces, always on foot, and not infrequently bare-footed. He carried the faith into Japan, and six other countries. He converted to Christ many hundred thousands in the Indies, and Baptized several princes and kings. 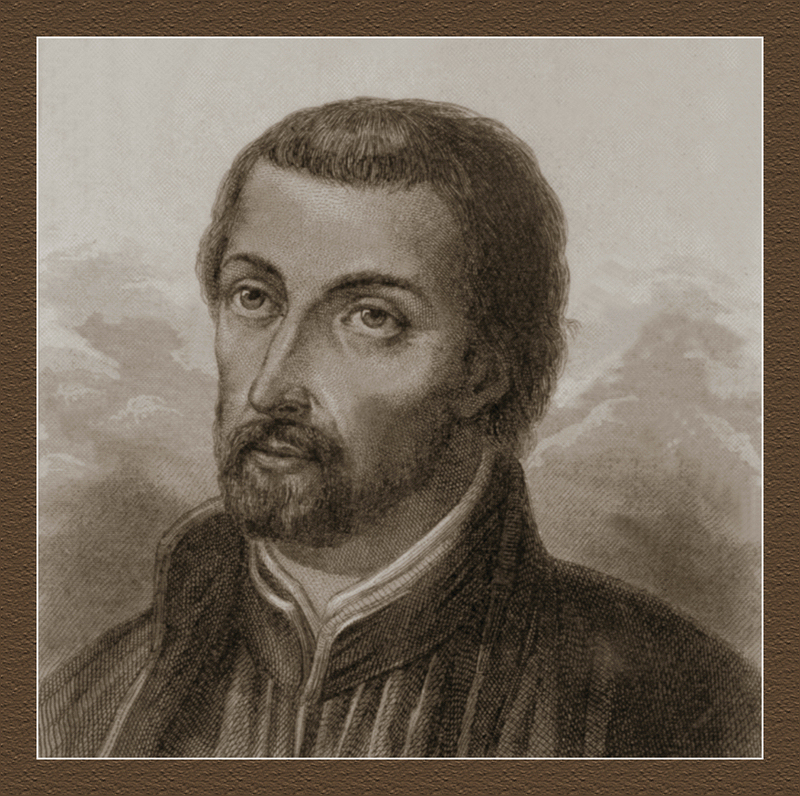 And yet, though he was doing such great things for God, he was so humble, that he never wrote to St. Ignatius, then General of the Society [the Jesuits], but on his knees. God blessed this zeal for the diffusion of the Gospel by many and extraordinary miracles. 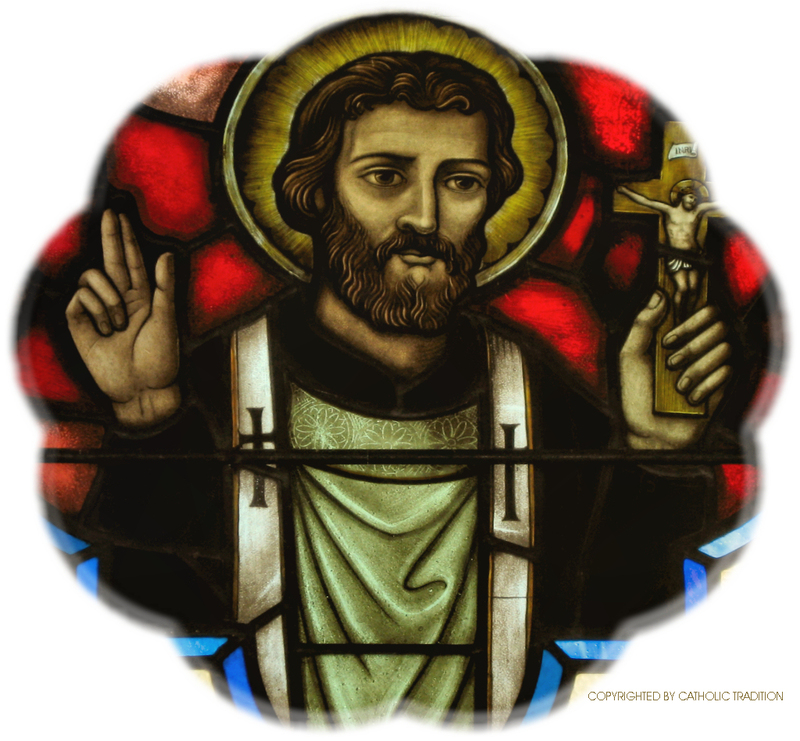 The Saint restored sight to a blind man. By the Sign of the Cross he changed sea-water into fresh, sufficient for many days, for a crew of five hundred men, who were dying from thirst. This water was afterwards taken into several countries, and being given to sick people, they were instantly cured. He raised several dead men to life; one of these had been buried on the previous day, so that the corpse had to be taken out of the grave; two others were being carried to the grave, when the Saint took him by the hand, and, raising them from the bier, restored them to their parents. Being continually gifted with the spirit of prophecy, he foretold many future events, or such as were happening in most distant parts. At length, full of merit, and worn out by his labours, he died on the second day of December, in Sancian, an island off the coast of China. His corpse was twice buried in unslaked lime, but was found, after several months, to be incorrupt: blood flowed from it, and it exhaled a pleasing fragrance: when it was brought to Malacca, it instantly arrested a raging pestilence. 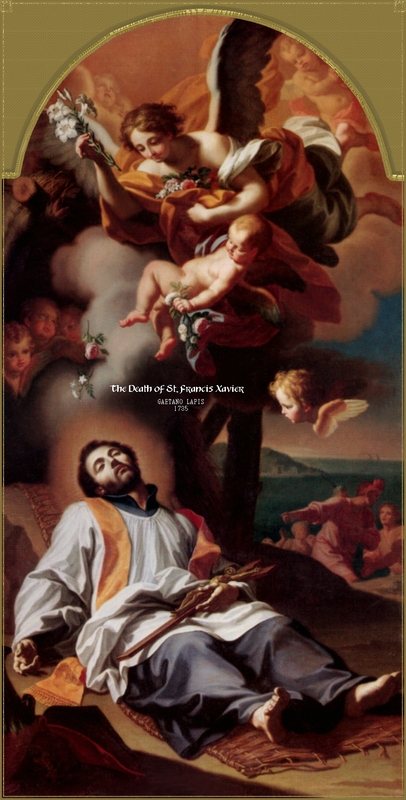 At length, fresh and extraordinary miracles being everywhere wrought through the intercession of the man of God, he was enrolled among the Saints by Gregory XV; and Pope Pius X declared him heavenly patron of the Society for the Propagation of the Faith and its work. 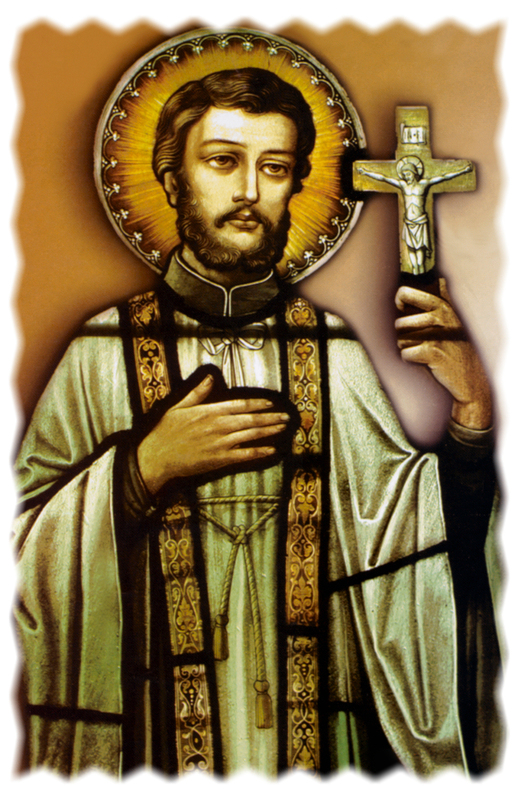 Glorious apostle of Jesus Christ, who didst impart His Divine light to the nations that were sitting in the shadows of death! We, though unworthy of the name of Christians, address our prayers to thee, that by the charity which led thee to sacrifice everything for the conversion of souls, thou wouldst deign to prepare us for the visit of the Saviour, Whom our faith and our love desire. Thou wast the father of infidel nations; be the protector, during this holy season, of them that believe in Christ. Before thy eyes had contemplated the Lord Jesus, thou didst make Him known to countless people; now that thou seest Him face to face, obtain for us that, when He is come, we may see Him with that simple and ardent faith of the Magi, those glorious first-fruits of the nations to which thou didst bear the admirable light. 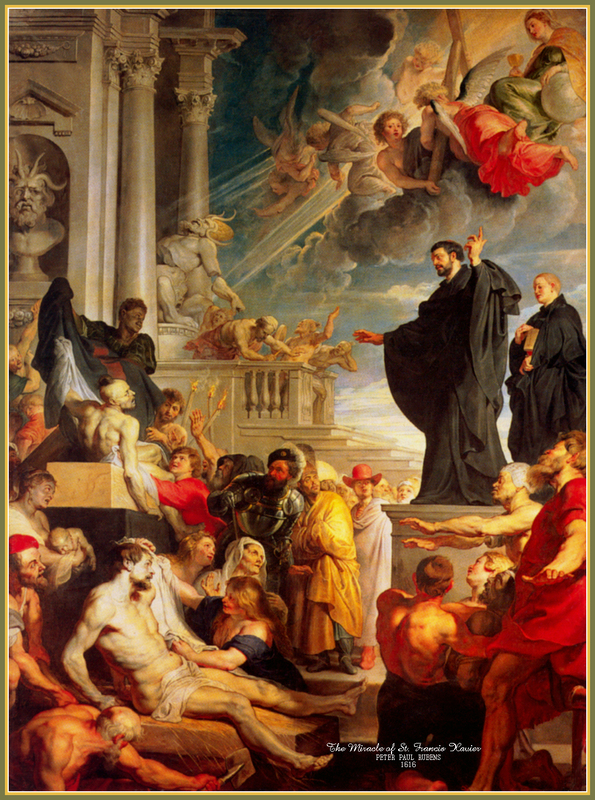 Remember also, O great apostle, those nations which thou didst evangelize, and where now, by a terrible judgment of God, the word of life has ceased to bring forth fruit. Pray for the vast empire of China, on which thou didst look when dying, but which was not blessed with thy preaching. Pray for Japan, thy dear garden which has been laid waste by the savage wild beast, of which the psalmist speaks. May the blood of the Martyrs, which was poured out on that land like water, bring it the long-expected fertility. Bless, too, all the missions which our holy mother the Church has undertaken in those lands where the cross has not yet triumphed. 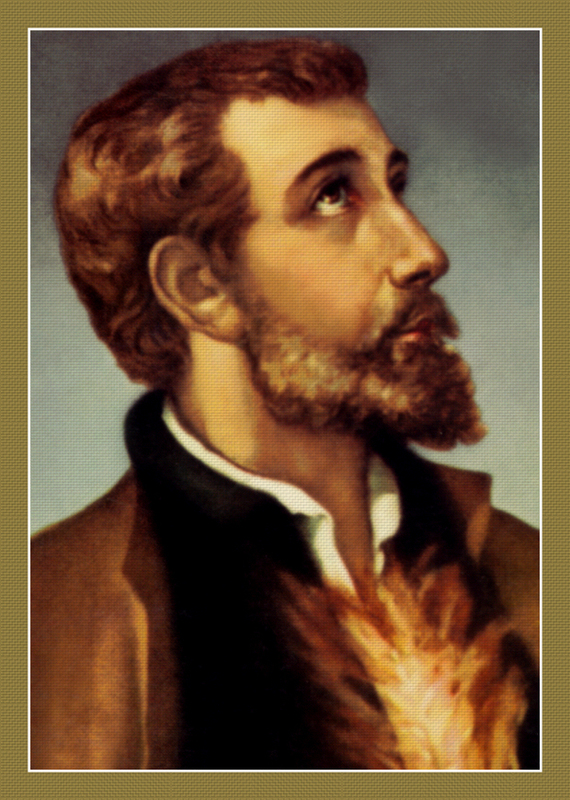 May the heart of the infidel be opened to the grand simplicity and light of faith; may the seed bring forth fruit a hundred-fold; may the number of thy successors in the new apostolate ever increase; may their zeal and charity fail not; may their toil receive its reward of abundant fruit; and may the crown of Martyrdom, which they receive, be not only the recompense but the perfection and the triumph of their apostolic ministry. Recommend to our Lord the innumerable members of that Association, which is the means of the faith being propagated through the world, and which has thee for its patron. Pray, with a filial affection and earnestness, for that holy Society, of which thou art so bright an ornament, and which reposes on thee its firmest confidence. 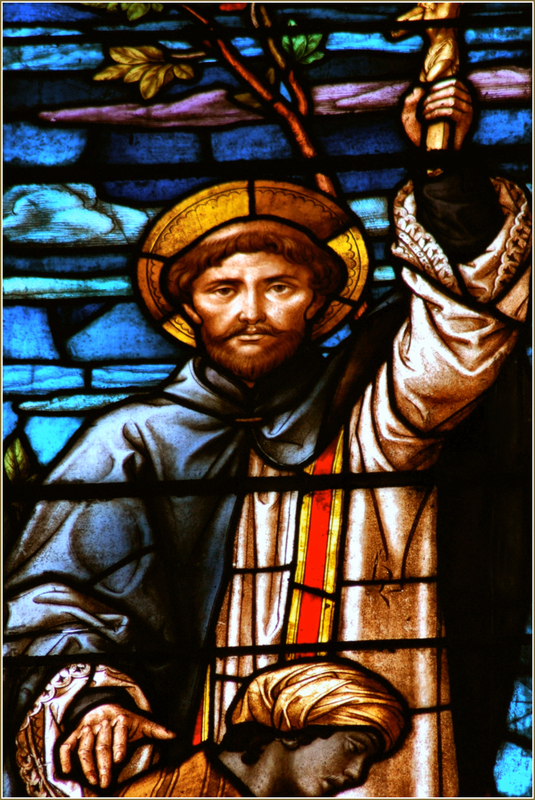 May it more and more flourish under the storm of trial which never leaves it at rest; may it be multiplied, that so the children of God may be multiplied by its labours; may it ever have ready, for the service of the Christian world, zealous apostles and doctors; may it not be in vain that it bears the name of Jesus. Let us consider the wretched condition of the human race, at the time of Christ's coming into the world. The diminution of truths [Ps. xi. 2] is emphatically expressed by the little light which the earth enjoys at this season of the year. The ancient traditions are gradually becoming extinct; the Creator is not acknowledged, even in the very work of His hands; everything has been made God, except the God Who made all things. This frightful pantheism produces the vilest immorality, both in society at large, and in individuals. There are no rights acknowledged, save that of might. Lust, avarice, and theft, are honoured by men in the gods of their altars. There is no such thing as family, for divorce and infanticide are legalized; mankind is degraded by a general system of slavery; nations are being exterminated by endless wars. The human race is in the last extreme of misery; and unless the hand that created it reform it, it must needs sink a prey to crime and bloodshed. There are indeed some few just men still left upon the earth, and they struggle against the torrent of universal degradation; but they cannot save the world; the world despises them, and God will not accept their merits as a palliation of the hideous leprosy which covers the earth. All flesh has corrupted its way, and is more guilty than even in the days of the deluge: and yet, a second destruction of the universe would but manifest anew the justice of God; it is time that a deluge of His Divine mercy should flood the universe, and that He who made man, should come down and heal him. Come then, O eternal Son of God! Give life again to this dead body; heal all its wounds; purify it; let grace superabound, where sin before abounded; and having converted the world to Thy holy law, Thou wilt have proved to all ages that Thou, who camest, wast in very truth the Word of the Father; for as none but a God could create the world, so none but the same omnipotent God could save it from Satan and sin, and restore it to justice and holiness.